It’s been said that when you want something done well, you have to do it yourself… and so we did. Our European-tailor-trained stylists ensure that your suit fits your body exactly the way it should. Choose from hundreds of fabrics from Italy’s greatest Heritage mills, offering you the very finest men’s suiting choices in the world. Make an appointment with one of our tailor-trained stylists. They’ll come to you with everything you need to get started on your sartorial journey. 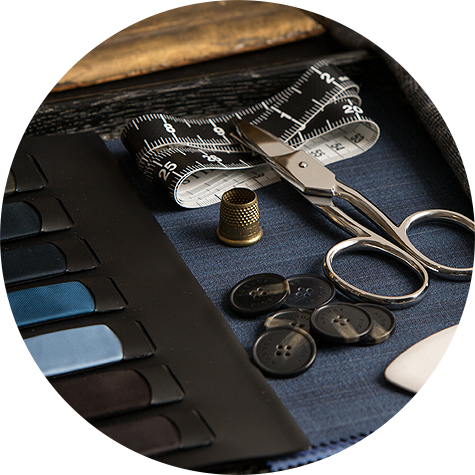 Get fitted, choose your fabric and customize your haberdashery, creating a suit to fit your unique tastes & wishes. We’ll be with you every step of the way. Upon delivery 6 weeks later, we will do your final fitting to ensure that the suit fits as it should. Then go out into the world and make your impact. 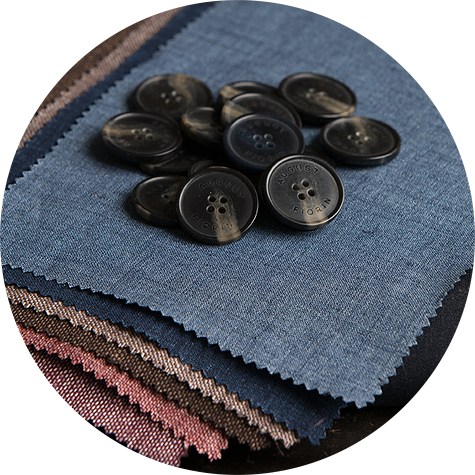 We offer only the finest selection of suiting fabrics from the best Heritage mills in Italy. History and pedigree play a major role in the quality, comfort and sustainability of luxury materials. The moment you put your made-to-measure suit on for the first time, you will understand why we’ve so carefully curated our offerings. Integrity of production, quality of wools and linens and the artisanal skills of our fabric specialists are all aspects that lend to your successful sartorial experience. You can have confidence in each step in the process knowing that at that start, our excellence lies in unparalleled Italian craftsmanship. Our European-tailor-trained stylist will work with you personally to find your best fit. Each garment will be hand-pinned to your personal needs until your best fit is achieved. Comfort and style are key, and we are the only company able to provide you with a bespoke experience without the tediousness and unreliability of the out-dated process. Come in, get fitted once and you will likely not have to do it again (unless unforeseen circumstances drastically alter your body-shape). We keep your fit profile under lock & key but always available to you and your stylist should you want to add an additional garment at any time. It will also be available to you under your personal online account to access at your leisure for easy re-ordering. We make the process fast, efficient, personalized and exceptional. You are our first priority and not only will you feel that but your suit will show it. Fabric and fit are paramount but the quality of our suits is what keeps our clients coming back. 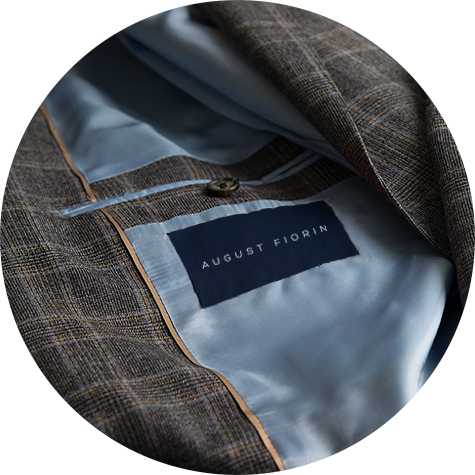 Our custom European fine suiting is designed to last a lifetime. Made by traditional techniques culled from decades of craftsman experience and combined with the newest, most advanced technologies in apparel production today, your suit is both laser cut and hand-sewn, striking the perfect balance between precision and artistry. Our construction is high-end and canvassed, exemplifying a better mastery of style and cut ultimately leading to greater longevity of your personalized suit. We recommend that you wear your suit twice upon receiving it so that it molds to your body and begins to drape to your shape, leading to a long-lasting, well-fitting suit. Sign up for our Newsletter and receive the latest on sales, new releases, tips and more.